Kermit: Miss Piggy? We're all out front practicing our acts and it seems that everybody expects you and I to do a duet, so. 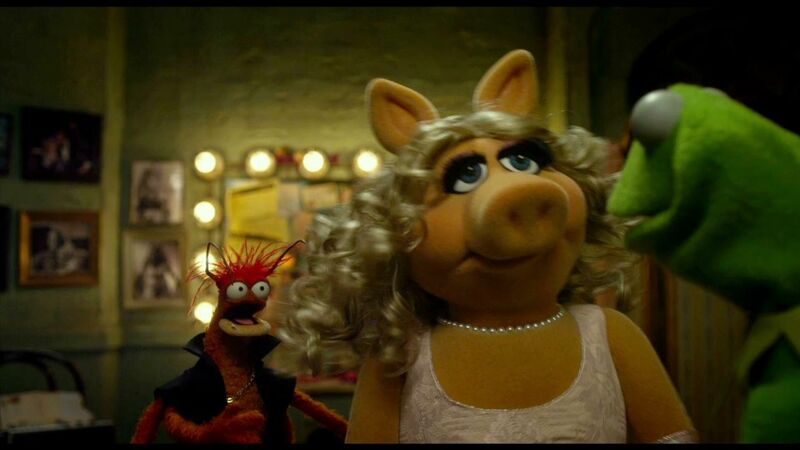 Miss Piggy: Oh, that's so lovely. But I'm afraid I can't. No, no, you see, I'm already doing a duet with my new dance partner. Pepe: Ola! Hehehe! Okay, come out, rehearsing, let's go. We got to break it out. Excuse us. Let's try that again shall we. Okay, on my count this time okay? In 3, 2... Miss Piggy jumps (dives) onto Pepe.